Steve Gascoigne of 'Available Light Photography' is one of the most talented photographers on the Isle of Wight. 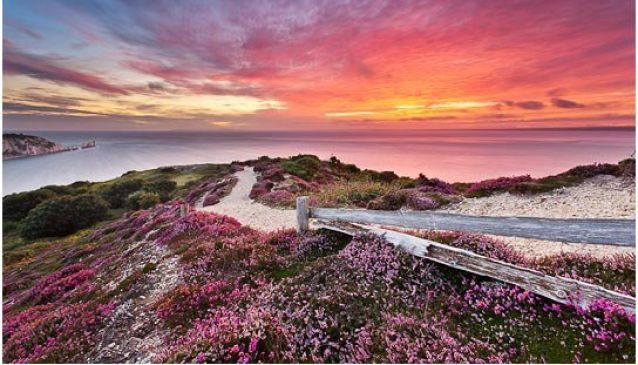 He captures stunning Isle of Wight landscape scenes and events. Steve moved to the Isle of Wight in Autumn 2000, after moving down from Coventry. Before this, he had worked as a professional photographic printer for 10 years, but decided he would much rather be taking the photographs instead of printing other peoples! Specialising in Isle of Wight landscape photos, Steve's 'Available Light Photography' is now very well-known, exhibiting across the island at various events and with his work being available to buy in various venues on the Isle of Wight also. Available Light Photography photos are also available to buy online, through Steve's website. You can choose prints in neutral mounts ready for framing, or prints printed on artist grade canvas, stretched and ready to hang. In addition to this, you can now also buy your prints in solid oak frames.